Your backstage pass for when the cameras stop rolling! 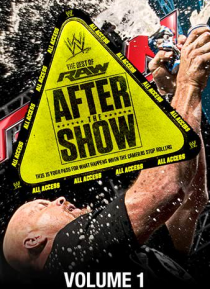 Monday Night Raw has delivered pulse-pounding excitement to TV viewers for over 20 years. But what happens when the telecast ends? For the first time ever, see what happens after the screen fades to black! Watch WWE's most colorful personalities cut loose for the live audience! From Stone Cold Steve Austin beer bashes, hilarious improv, red-ho… t matches and heartwarming tributes, it's all here!